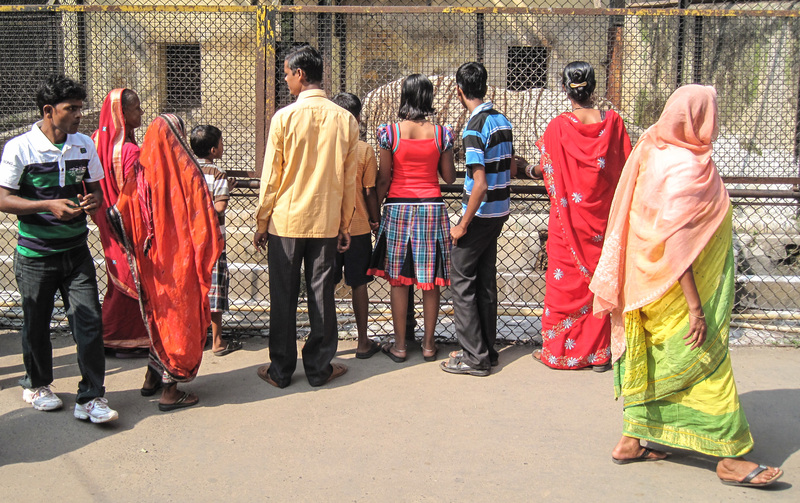 It only costs 20 rupees to get into the zoo. Rare Bengal white tiger, thin but huge. I thought it was a piece of paper there when I saw the photo at first glance. no expert on big cats. Look at the size of that thing! I had no idea they grew so large! Yep. It was definitely a big cat.